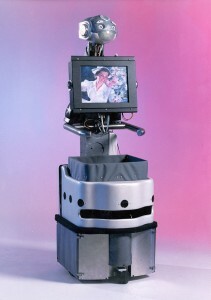 Why I Don’t Like Telepresence Robots – YET – Travis Armstrong, a robotics engineer from Adept Technology spelled out his thoughts on his personal blog (Random Robotics) on his lack of enthusiasm for telepresence robots back in September 2010. We wonder what he thinks about the recent buzz from iRobot and Anybots. KG: Back then when people like John Canny and Eric Paulos were developing various kinds of telerobots and camera systems, the Internet and wireless networks weren’t as fast and reliable as they are today. Now networks have more bandwidth, better quality of service, lots of error correction. That makes a huge difference. The other thing that has changed is that it’s less expensive to build a robot today, because the components you need are getting better and cheaper. So you’re seeing these companies coming out, like Vgo and Anybots, trying to commercialize these robots. The big question is, When can they get the price down to a point where it’s available to a large number of people? When that happens, things will get very interesting. For more on that thought, check out Fred Nikgohar’s call for “low cost sensors” on hizook. 12 Advances in Medical Robotics – (Information Week) Alison Diana captures a list of recent (and past) systems that help in medicine including the InTouch Health RP7i and the NurseBot from University of Pittsburgh, the University of Michigan, and Carnegie Mellon University. Another major decision was the height of the “face.” It’s roughly at eye level for people in chairs. This makes it slightly awkward to talk to a Vgo for any length of time standing up, but seated meetings are the business world’s most common videoconference format. Further, if it had been much taller, a much larger, heavier base would have been needed for stability, which would have cut down on the battery life. We can appreciate the tradeoff. Rumor has it that some exciting news about one of the RPS family will be making announcements on their improved solution which is rumored to have HD video, two-way video and even zooming capabilities. This entry was posted in Anybots, Anybots QB, AVA, Intouch Health, iRobot, Remote Presence Links, Remote Presence News, Remote Presence Systems, RP7i, RPS Companies, VGo, VGo Communications and tagged Adept Technology, Anybots QB, Fred Nikgohar, InTouch Health, iRobot AVA, NurseBot, remote presence system, RP7i, vgo. Bookmark the permalink.